Benedictine Father Stanley Jaki, died quietly in the company of friends, from complications after suffering a heart attack without knowing it, on 7 April 2009 [13:15 Spanish time], at Clinica de la Conception in Madrid, Spain where he was visiting friends following a lecture series in Rome for the Master in Faith and Science of the Pontificio Ateneo Regina Apostolorum. 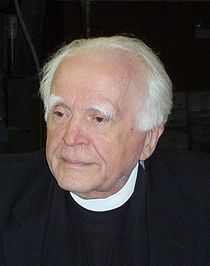 Jaki earned a doctorate in theology from Sant'Anselmo (Rome) in 1950 and another doctorate in (astro)physics from Fordham University in 1957. Since 1965 he has taught at Seton Hall University and honored as Distinguished Professor of Physics in 1975. After retiring he kept active by holding court, giving lectures and writing, often cantankerously. Father Jaki was well-known for his writings on science and religion. He delievered the prestigious Gifford Lectures from 1974-1976, later published under the title of The Road of Science and the Ways to God. In 1987 Dom Stanley was award the Templeton Prize. 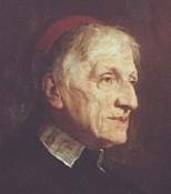 He is considered one of the best scholars on the thought of Cardinal John Henry Newman in the U.S. His publishing record show he published 7 books and numerous articles on Newman. Fr. Jaki was one of the premier contemporary minds in the fields of philosophy of science and theology, as well as on inter-disciplinary issues. He authored innumerable books, articles and essays covering everything from the metaphysics of the Eucharist, to Petrine primacy, to exactly where and how Charles Darwin went woefully wrong. In short, Fr. Jaki was one of the greatest thinkers of the 20th century and his contributions to Catholic thought and culture will be difficult to quantify. As one G.K. Chesterton fan comments: "In addition to so many other things, Father Jaki was also a beloved and much-sought after Chestertonian, and a true follower of the Rule of St. Benedict in every way imaginable; he was always teaching. He only had to be invited to speak once to the annual American Chesterton Society Conference....after that he would simply call Dale Ahlquist in advance and announce his topic! Such graceful moxie is very rare these days and those of us who have known him, learned from him, and love him have all been blessed and bettered by his initiative; it will be a palpable loss not to have this spiritual and intellectual giant in our midst any longer." I am amused that Zalonski mentions that Fr. Jaki could be "cantankerous." A couple of friends of mine report that in conversations with him he would without any hesitation simply declare: "You are no physicist!" or "You are no philosopher!" I say amused, because he was usually quite right in his judgments, even if a trifle tactless. Socrates keeps good company. Another feature of Fr. Jaki that goes unmentioned, however, is how he was almost always peddling his personal publications. One friend of mine mentions that he met Fr. Jaki at a conference on the East coast. My friend mentioned that Fr. Jaki recruited him to the task of helping him cart books (and flyers promoting them) from the trunk of his automobile and to help market and distribute to those assembled. I have to confess that in phone conversations with him, Fr. Jaki was a persuasive salesman and managed to sell to me about two dozen of his books and publications he warehoused in his basement. I should add, however, that he gave me a significant discount and that I have profited immensely from the books I have read, though I have yet to tackle his huge tome on physics! Fr. Jaki will be missed. Let us pray for the merciful repose of his soul. Exactly which huge tome on physics, please? I'm trying to gather up useful info on this man's work. Thanks. Stanley Jaki's The Relevance of Physics (1992). Life's not fair. Get used to it. Useful idiots: from Naziism to Obamism? 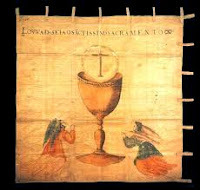 "A Triumph of Sacred Architecture"